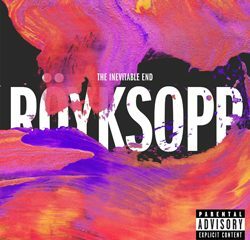 Röyksopp have been spending too much time with Moby (the pair opened for baldie in 2002 in support of their debut album Melody A.M.), or maybe it’s just a product of Torbjørn Brundtland’s work on Annie’s irresistible pop opus Anniemal, but the Norwegian duo’s caught the bug for a radio hit. Exhibit A and B, respectively: the understated club anthem “Only This Moment,” the lead single from their sophomore effort The Understanding, featuring hooky coos and “creative input” courtesy of singer Kate Havnevik, and “Follow My Ruin,” which unfortunately magnifies Brundtland’s vocal weaknesses (or is it his professional other half, Svein Berge, singing?—honestly, I can’t tell the difference) but bristles with synthetic ‘80s splendor. Röyksopp maintain their minute attention to detail, particularly on the non-vocal tracks, built out of dreamy, immaculate swells and Eno-ambient drones. Bookended by a dramatic, classical-influenced keyboard melody, The Understanding plays like a storybook romance; it’s a break-up album, to be sure, from betrayal (“49 Percent,” featuring Chelonis R. Jones) and realization (“Only This Moment”) to ultimate freedom (“Circuit Breaker” and the head-noddin’ stand-out “Someone Like Me”). Still, one gets the sense that, like many of the album’s songs, these new flirtations won’t ever get off the ground. Even the best tracks bobble like a helium balloon tugging from a child’s clenched fist…but not quite forcibly enough to pull free.